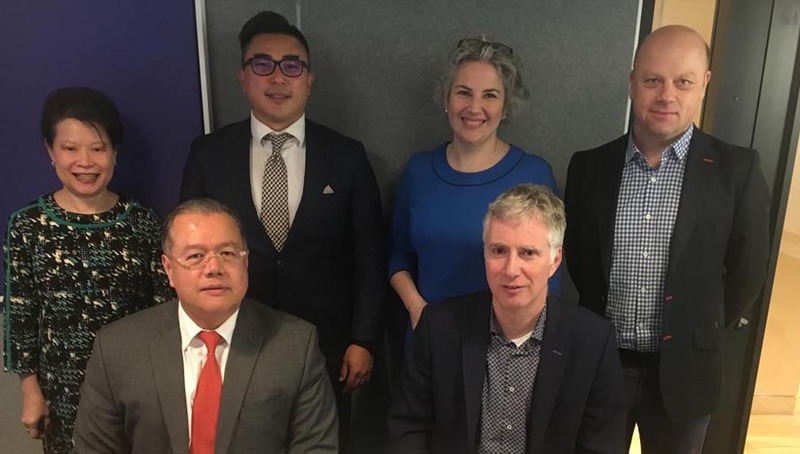 At the end of the May 2018, Drew Keys, the Regional Program Manager of the International Agency for the Prevention of Blindness (IAPB) Western Pacific region visited South Korea to facilitate the organization’s collaboration and cooperation with its partners in the country. Amongst the various activities he took part in, was a special session on innovation and technology. 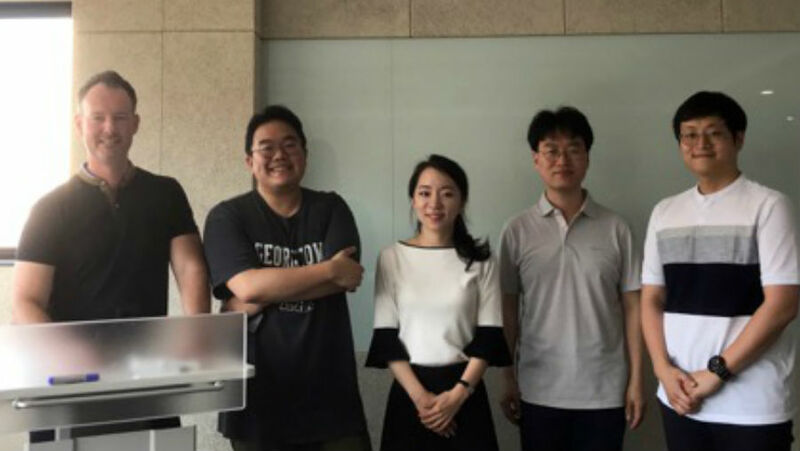 The event was hosted by LabSD (Laboratory for Sustainable Development), which is a spin-off social venture of an IAPB member organisation, Project BOM (also known as the Ophthalmology Department of Yonsei University College of Medicine). It was attended by leading social venture firms in the country dedicated to eye health and disability such as LabSD, Ovitsz and others interested in maximizing collaboration specifically through the IAPB Standard List. 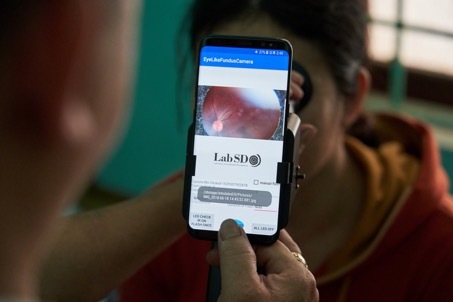 LabSD’s comprehensive community eye health solution, EYELIKE Platform, allows health professionals with minimum training to conduct screenings of international standard for the diagnosis of eye diseases such as diabetes retinopathy, glaucoma, or AMD with considerably reduced time and cost, while sharing the information with the entire referral system. iii) Android Application along with web-based dashboard for the collection, analysis, and visualisation of the disease information. 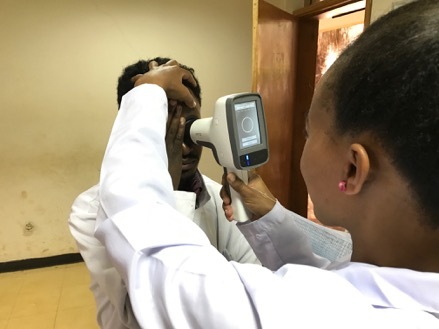 The platform enables effective and efficient management of resources through task-shifting, re-assigning some tasks of ophthalmologists to other health practitioners at the community level in low resource settings. measure another leading cause of blindness, refractive error, more quickly, precisely, and accurately both in the office and in the field. 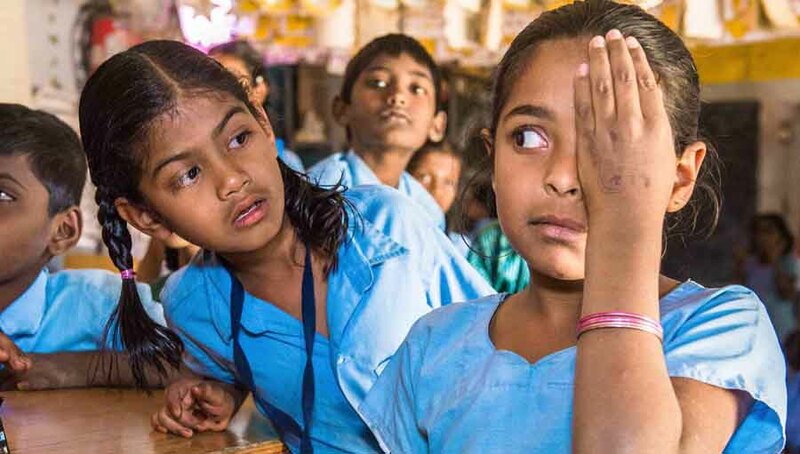 Ovitz aims to offer easy and timely access to an affordable visual acuity test to anyone anywhere in the world. It has conducted 6 clinical tests worldwide and is registered with US FDA. Braillist developed a device that supports vision impaired persons to use smartphones more independently and conveniently -improving productivity and quality of life. The company will also be introducing a compact electronic braille dictionary for the visually impaired to make learning braille easier and faster. The dictionary is aimed at decreasing the illiteracy (in Braille) rate among blind people in the globe, which is more than 90% at the moment. Dot also strives to pioneer for accessible and affordable innovations for the visually impaired through providing devices for education and training. 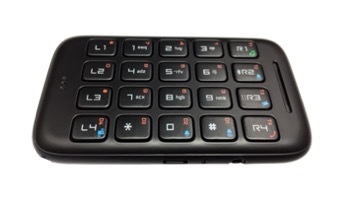 The company developed a state-of-the-art, innovative, braille cell that is 1/20 size and 1/10 cost compared to existing piezo-electric cells that have long been considered as the standards in the braille device market. As an electro-magnetic actuator, the Dot cell is able to bring revolutionary changes, first starting with the world’s first braille smartwatch, the Dot Watch. Another product, Dot Mini, supports the education and training with its braille display and a built speaker. 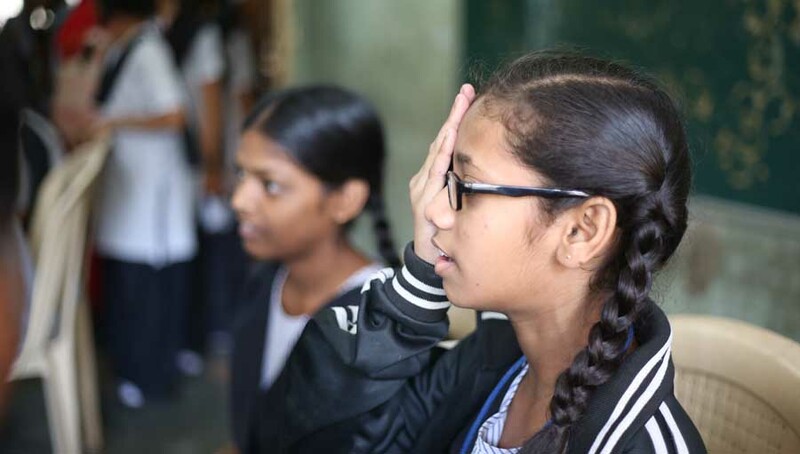 It will give students the chance to be free from carrying around bulky and heavy braille books to the school, not to mention increase access to leaning materials in resource limited conditions. 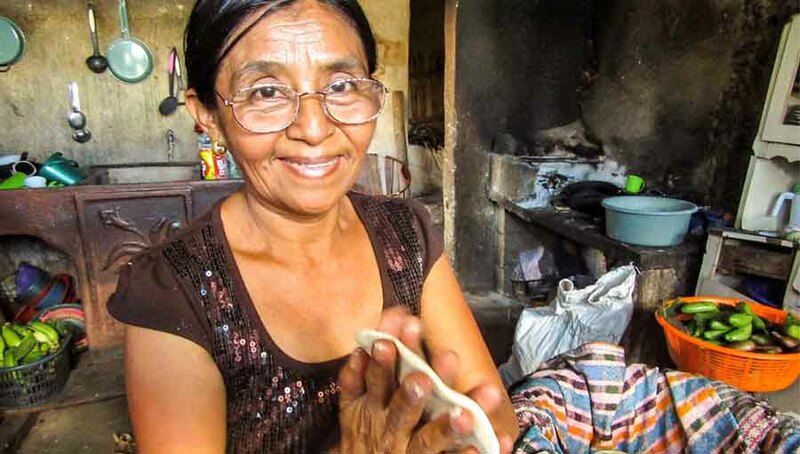 There is increasing drive in Korea to meet global challenges, and KOICA is definitely on a mission to solve such problems while targeting the Sustainable Development Goals (SDGs) through its multi-dimensional approaches. It not only values its activities as Official Development Assistant Agency, but also embraces innovative technologies to tackle the problems more effectively and efficiently by supporting these tech based social ventures. Hopefully, through KOICA’s CTS programme and its portfolio social ventures, more innovative and appropriate technology for the prevention of blindness and betterment of quality of life for the people who are irrecoverably blind can be introduced, nurtured, and cultivated.